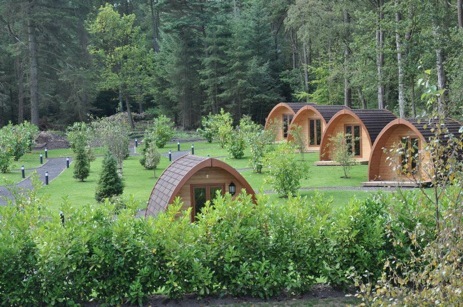 Falcon Forest Glamping is situated on the North Yorkshire coast between Whitby and Scarborough in a picturesque forestry camping area, hosting 11 modern glamping pods for an exceptional camping holiday experience for the whole family. At Falcon Forest Glamping, you can enjoy your holiday even when the weather is not helping. With our brand new development of pods, each with their own electricity and heating, camping holidays can be appreciated all year round. The glamping site is also adjacent to our family owned Falcon Inn public house where you can experience fantastic food and hospitality in a remarkable establishment with over 200 years of history. With stunning country and coastline scenery mixed with fun seaside attractions, there really is something for everyone. We are in a great location for hiking, cycling, surfing, paddling & chilling with nearby towns of Scarborough, Whitby, Filey, Pickering, Malton, Helmsley and York. Additionally when the day draws to an end, why not enjoy the peace and quiet of this beautiful country location or enjoy a well earned bar meal and a pint in the Falcon Inn. 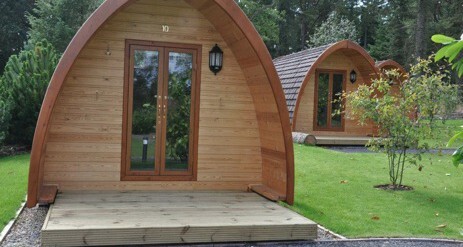 The Deluxe Pod is ideal for couples looking for a luxury glamping experience. 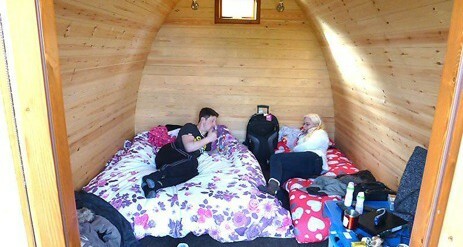 The family glamping pod is our most popular choice and generally accommodates a family of five people. 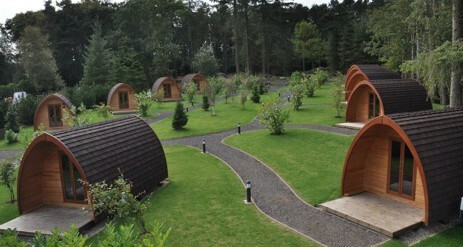 Please note that your pod will be completely empty when you arrive – so you will need to bring all of your camping equipment with you including beds, bedding and towels. These pod share the same features as the Standard Family Pods but you are able to bring a dog with you! Your dog will stay in your pod and will not be kept separately over night. 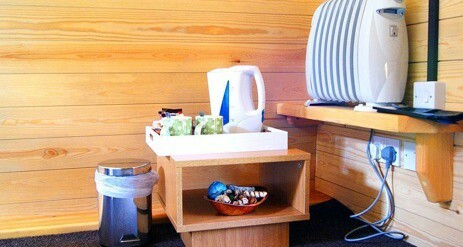 Again please note that your pod will be completely empty when you arrive – so you will need to bring all of your camping equipment with you including beds, bedding and towels. 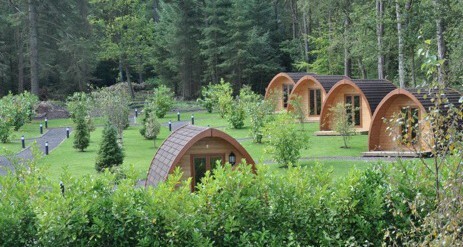 The Falcon Forest Glamping site is located in an area of outstanding beauty on the edge of North York Moors National Park. 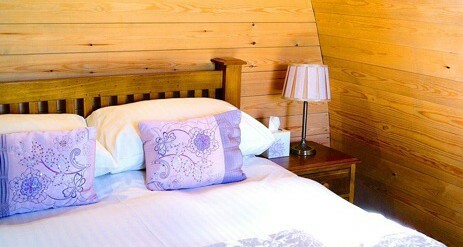 Situated between the popular holiday resorts of Whitby and Scarborough there is something here for the whole family. Scarborough was the first UK seaside resort to be developed and is still one of the most popular tourist attractions in Britain offering a huge range of family fun activities and attractions. Just up the coast slightly is Whitby, a town, famous for many things including, its fishing industry and heritage, Dracula stories and don’t forget the fish and chips. These Seaside towns and their connecting coastlines have so much to offer that you will never be lost for something to do. For the extreme and sporty individual there is an enormous range of outdoor opportunities both around the campsite and slightly further afield including cycling, kayaking, surfing, fishing, hiking and much, much more.